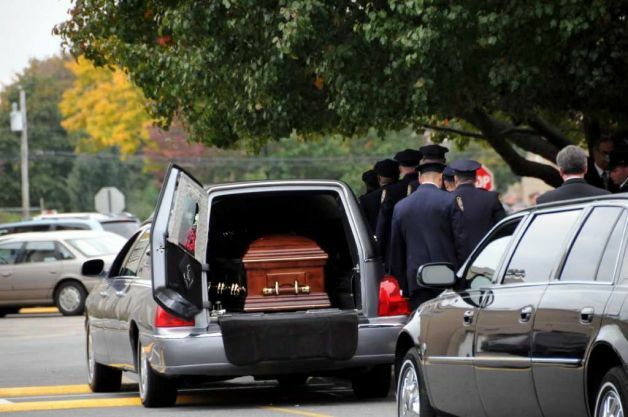 How to Book A Funeral Limousine Service in Niagara in 5 Minutes! At St. Catharines limousines, we take pride in serving our guests on any occasion, including the passing of a loved one. We want to make sure you and your guests are cared for and assisted with any of your transportation needs on this day. We honor our guests and make sure they are taken care of. Our limo driver will be ready for you in advance to pick you and your guests up to bring you to your destinations. We will make your ride a comfortable and effortless one while ensuring everyone in your party travels safety together. Our priority is to make sure that your day goes as smoothly as possible while you take care of what matters most. We will request your itinerary to be able to serve all of your transportation needs. Our drivers will be ready well in advance to assist guests with any special needs or care requested. If you have any special music you would like played for the day, please let us know and we will accommodate any special preferences you might have for your trip. Feel free to delight in your own refreshments or snacks, or you may request for the on-board bar to be filled for you and your guests. We have a variety of limousines and executive town cars that will fit any number of passenger needs from 1 to 32 people. Our vehicles include town cars, limousines and SUV’s. Our goal is to provide you with excellent customer service! Please see our "Fleet" page for more details on the makes and models of transportation we have to offer. to MAKE YOUR DAY SMOOTH AND CARED FOR!